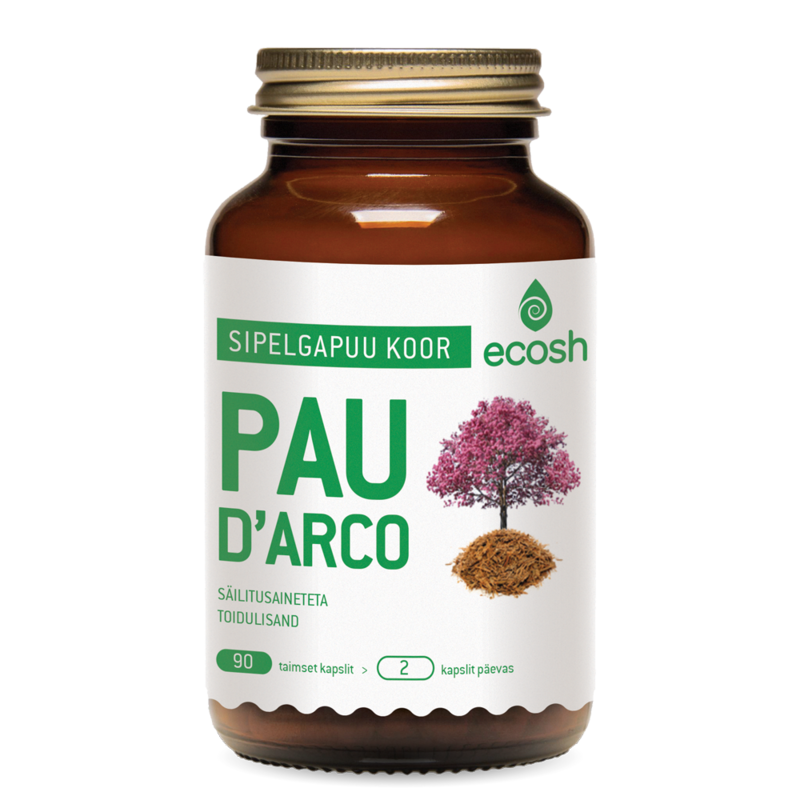 Pau d’arco or lapacho bark is a supplement with antibacterial properties that inhibits the reproduction of pathogenic bacteria, viruses and fungi in the body. The product boosts the immune system and improves resistance to inflammatory processes. The antiviral and antibacterial properties of lapacho bark derive from its lapachol and xylodine content. Lapacho bark neutralises fermentation processes, improves resistance to viruses, and inhibits the growth of fungi in different organs and tissues. Lapacho bark helps to fight flu, herpes virus, acute respiratory viral infection, etc. Pau d’arco is an effective immune booster and a natural defence against free radicals. In folk medicine, Pau d’arco is known as a natural antibiotic. Suggested use: 2 capsules daily, or as advised by your doctor or therapist. Take with water. Recommended period of use: periodically, as disease prevention – 1-2 months, for more thorough cleansing, take more frequently (e.g., in every 2 hours).